Warm-up was held at mid-day under sunny blue skies with the cars taking a few laps around the circuit for last minute checks. It was also a good opportunity to get some shots of the drivers and teams as they headed back to the paddock after the warm-up session. Hope you like the photos. 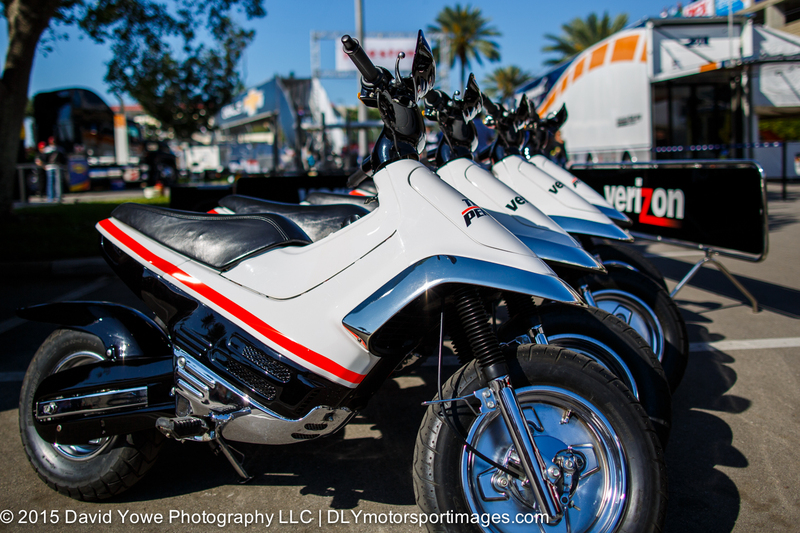 Took a couple of shots of the paddock as I was walking to the track for the warm-up session. 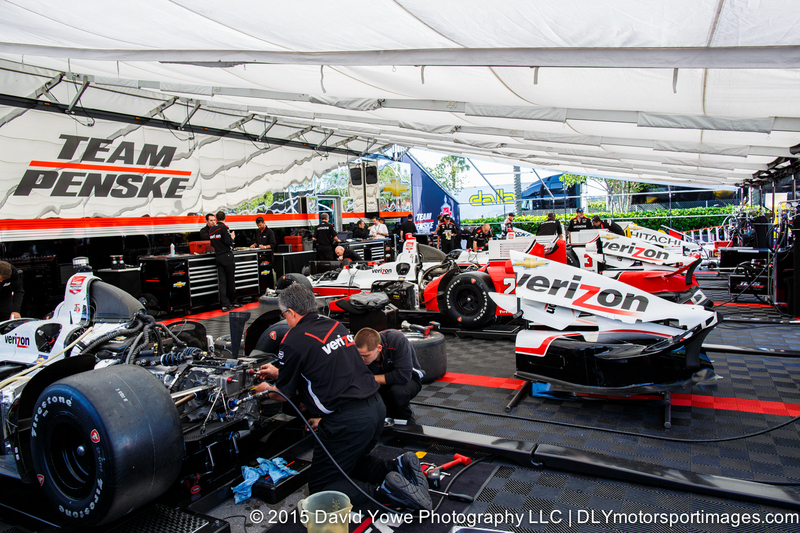 In the paddock with Team Penske. Warm-up session with Stefano Coletti in the #4 KV Racing Technology Chevrolet entering Turn 2. 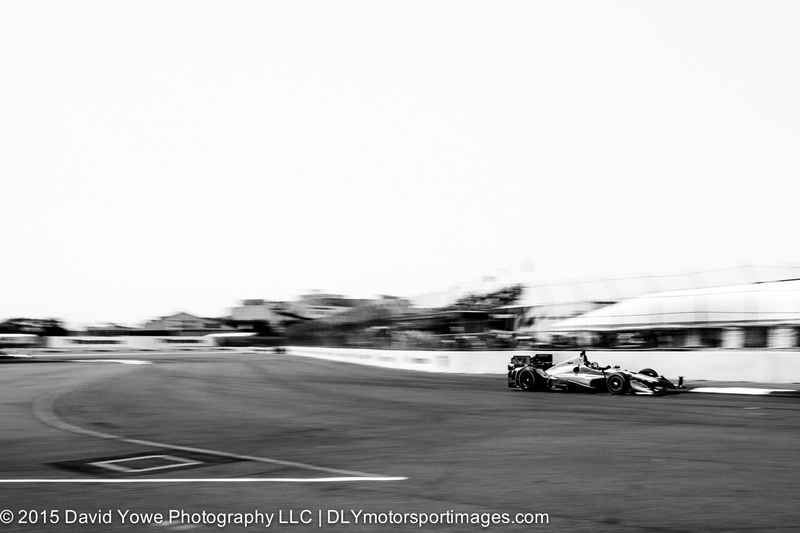 Takuma Sato speeds by the Turn 1 grandstand in the #14 A.J. 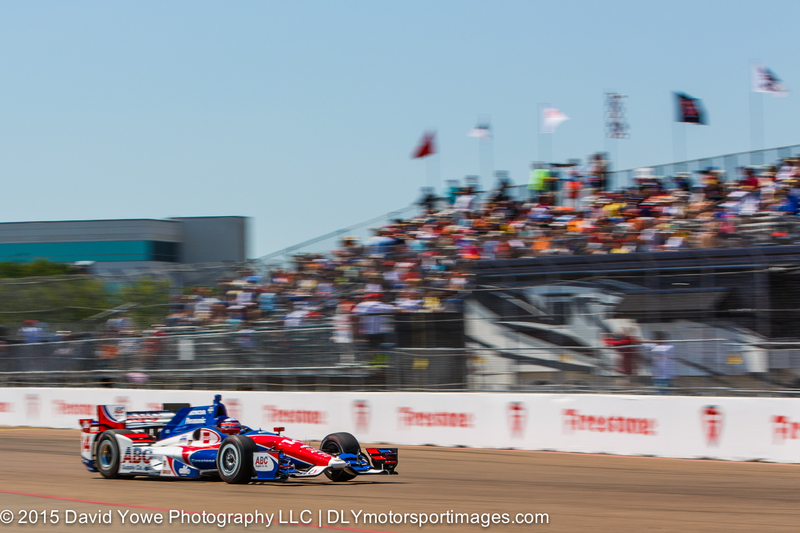 Foyt Enterprises Honda during the warm-up session. 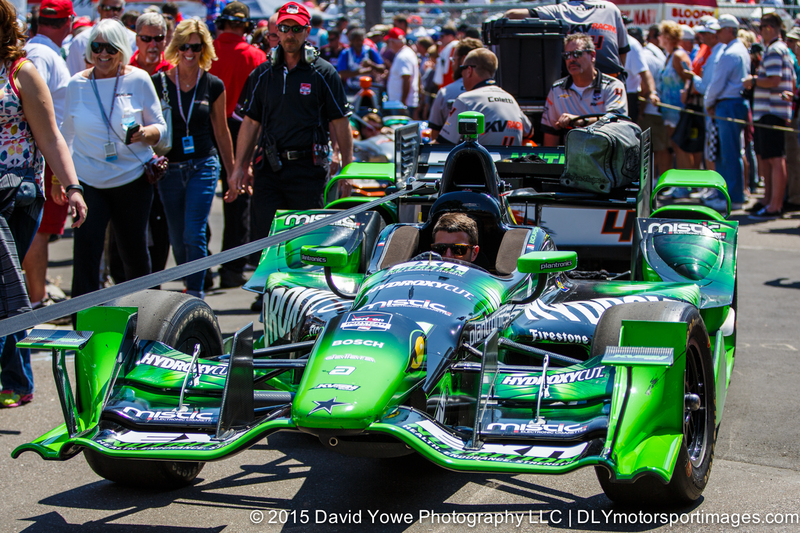 After the warm-up session, I stayed around the roadway leading from the pits to the paddock to get shots of drivers and the team. 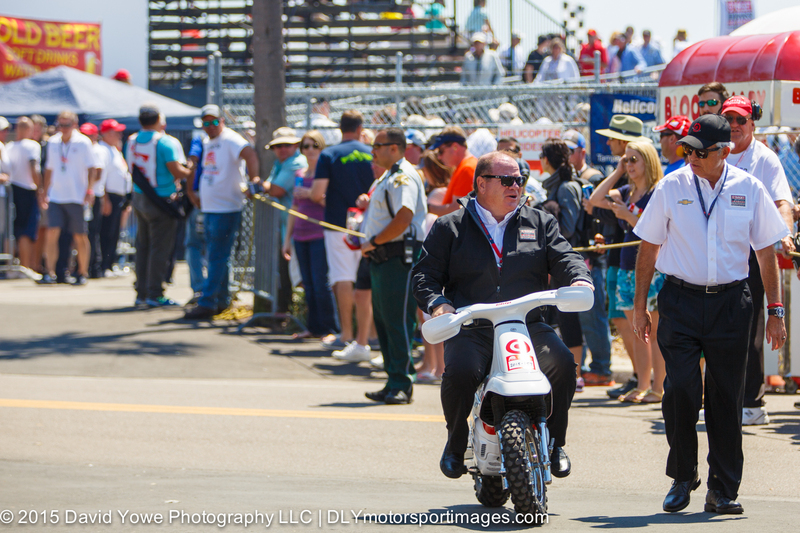 Here’s Chip Ganassi, owner of Chip Ganassi Racing Chevrolet. 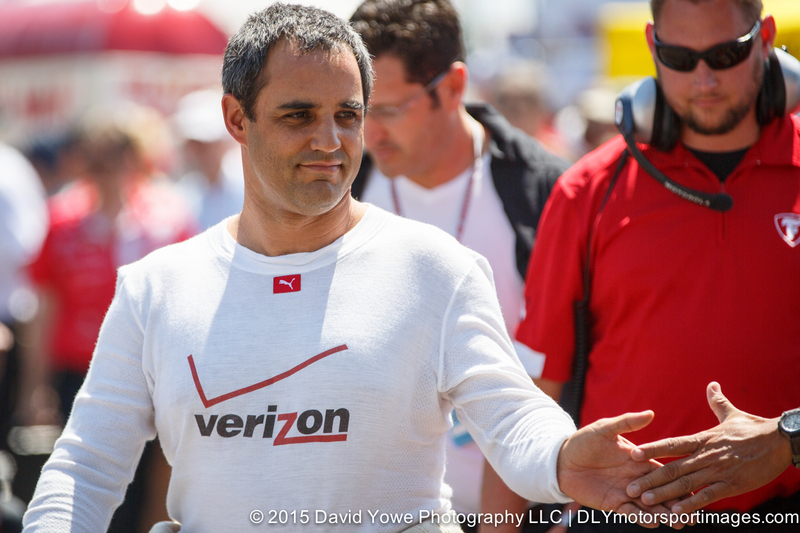 Juan Pablo Montoya, driver of the #2 Team Penske Chevrolet. Towing the #11 KVSH Racing Chevrolet from the pits to the paddock. 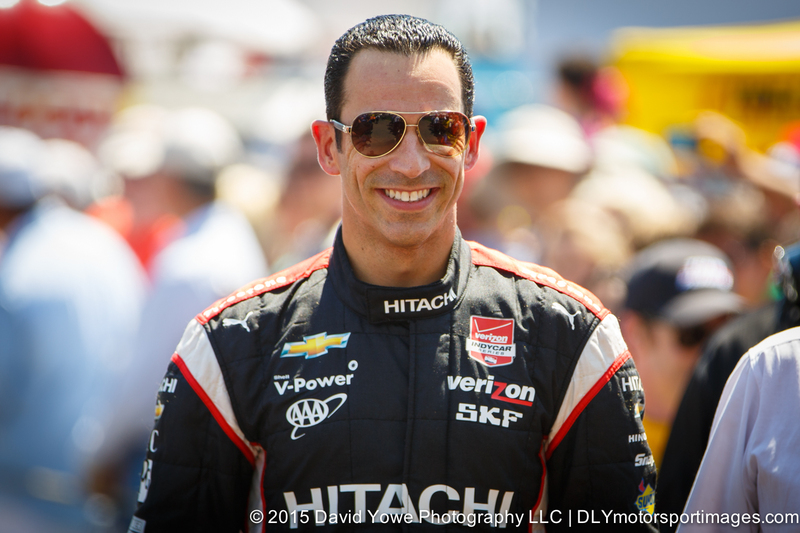 #3 Team Penske Chevrolet driver Helio Castroneves. 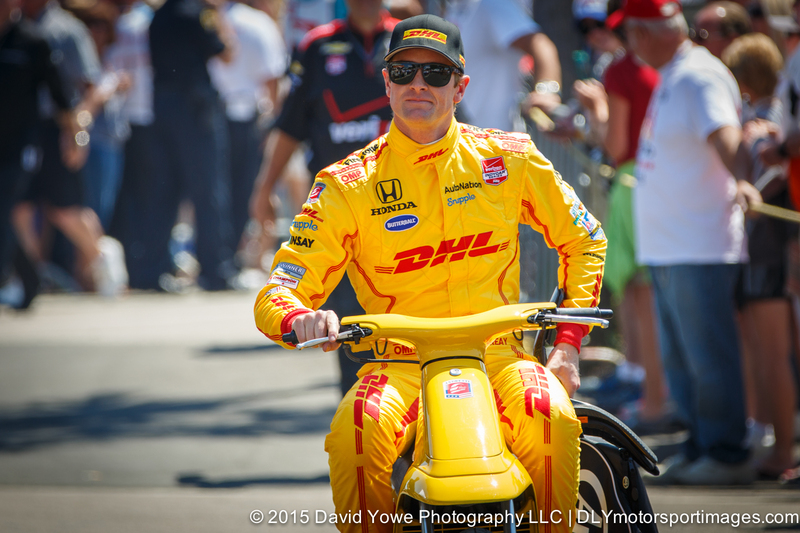 #28 Andretti Autosport Honda driver Ryan Hunter-Reay.